“Adaptation Futures is the world’s premier conference on climate change adaptation…This is the first time the conference is held on the African continent. This is the notion behind this year’s Adaptation Futures conference which is being held in Cape Town, South Africa. The conference boasts of having over 200 participants from various sectors, countries and organisations ranging from UN representatives, NGOs, Implementing Agencies, Government body representatives, reputed Universities etc. in the field of Climate Change Adaptation and Research. WOTR has therefore been selected as one of organisations with relevant and impactful research that is being featured in the conference. a. 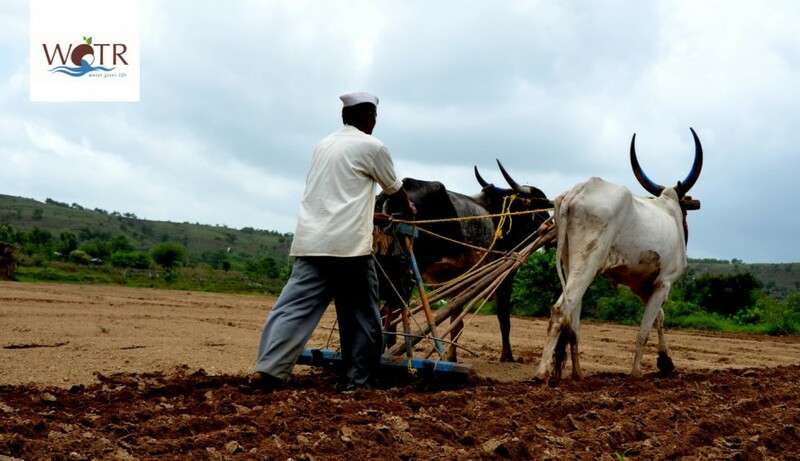 Understanding farming system transitions and their impact on livelihoods, social inclusion and the environment in semi-arid Telangana, India, written and presented by Bhavana Rao Kuchimanchi on 21/06/2018 between 14:15 hrs-16:00 hrs (session number S305; Oral presentation) in room 2.64 at AF2018. II. Adaptation: What it means in the real world? on 21/06/2018 between 9:15 hrs-11:00 hrs (session number S326; Oral Presentation) in room 2.45 at AF2018. d. Micro-Irrigation at the Margins: Unpacking Technological Choice and Barriers to uptake in Semi-Arid India, written and presented by Karan Misquitta on 21/06/2018 between 11:30 hrs-13:15 hrs (session number S306; Oral Presentation) in room 2.45 at AF2018. 1. Marcella D’Souza: As the Executive Director of WOTR, Marcella has over 25 years of experience working with vulnerable communities in the fields of community health, gender development and action research at the ground level. She also conceived and led the establishment of the WOTR Centre for Resilience Studies (W-CReS) and leads the multi-disciplinary research work undertaken here. 2. Bhavana Rao Kuchimanchi: Bhavana is the Regional Manager of WOTR’s team in Hyderabad and a PhD Researcher from Wageningen University, Netherlands, with interests in understanding rural vulnerabilities, agriculture and livestock systems etc. and handles WOTR’s work in Andhra Pradesh and Telangana. 3. Ramkumar Bendapudi: Ramkumar is the Lead Research Advisor at WOTR with keen research interests in Economics, Agriculture and Livestock, Climate Change and Climate Science and its Relationship with Biophysical Attributes of Ecosystems. He mentors the W-CReS Research team on various occasions. 4. Bidisha Sinha: Bidisha is a former Economics Researcher at WOTR/W-CReS and maintains research interests in Economics, Climate Change, Water Resources, Vulnerability and Adaptation etc. 5. Anuradha Phadtare: Anuradha is a Social Researcher at WOTR/W-CReS and responsible for various studies ranging from Impact Assessments of Watersheds, Gender Research, Farming Systems, Understanding and Identifying Vulnerabilities etc. Change, Development and Sustainable Development, Traditional Knowledge, Agriculture etc. fall among his research interests. 7. Renie Thomas: Renie is a former Hydrogeologist who headed WOTR/W-CReS’ Hydrology team. His research interests range from Groundwater to Aquifer Systems, Geology, Adaptation and Maladaptation, Water policy, Climate Change etc. 8. Karan Misquitta: A former researcher at WOTR/W-CReS, Karan is pursuing his PhD in his topic of interest- Irrigation. He is also interested in research under adaptation, water, water governance, Research in Use, Games for Impact etc. The various research themes will be showcased at Adaptation Futures. Please refer to the poster schedule for more information. For more information, follow us on Twitter or Facebook.